The Halloween costumes, candy and decorations are barely off the shelves and stores are not only decked out for the holidays, but are also slashing prices in major pre-Black Friday sales. Many retailers are taking advantage of the increased interest in online shopping to stretch out the holiday shopping season. Black Friday may still reign as king of the doorbuster deals, but early sales can whet shoppers' appetite as die-hard savings seekers look to cross things off their to-do list before Thanksgiving. 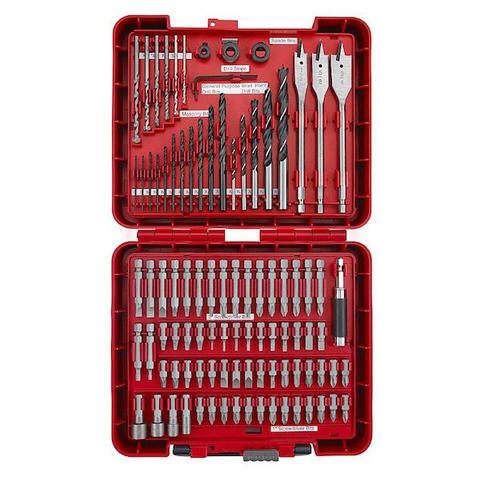 You can find deals on items for home DIY lovers, including a Craftsman storage cabinet and 100 piece drill bit accessory kit . In need of new appliances for the holidays? Home Depot has up to 50 percent off on washers and dryers and refrigerators . h.h gregg , JCPenney and Lowe's all have up to 40 percent off on select appliances, too. Amazon kicked off its Countdown to Black Friday Deals Week on Monday. The online retailer is offering deals of the day, plus a variety of timed sales each day. Shoppers can find deals on everything from shoes , men's accessories and electronics . Items change each day, so make sure to check the website regularly for new deals.